In 1773, Samuel Johnson was persuaded to take a walking tour of Scotland with his friend and future biographer James Boswell. While Johnson was observing Scotland, Boswell was observing Johnson. This book is published to tie in with the BBC film "Tour of the Western Isles". In 1773 at the age of 63, Samuel Johnson was persuaded to take a walking tour of Scotland with his close friend and future biographer James Boswell. While Johnson was observing Scotland, noting, with a disarming lack of pretension, the wildness, the ancient historical remains and the religious customs, Boswell was observing Johnson. His record is perceptive, full of sardonic wit and entertaining. 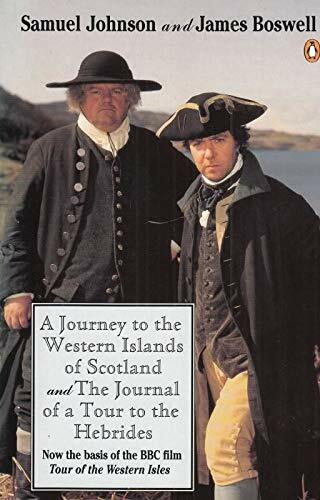 From Boswell's "Journal" there emerged the picture of Johnson as an inquisitive, melancholy but extravagant man with many passions but few illusions, while from Johnson we have a rather conventional portrait of Boswell but a probing, intelligent exploration of Scotland and the Western Isles. The book is published to tie in with the BBC film "Tour of the Western Isles".